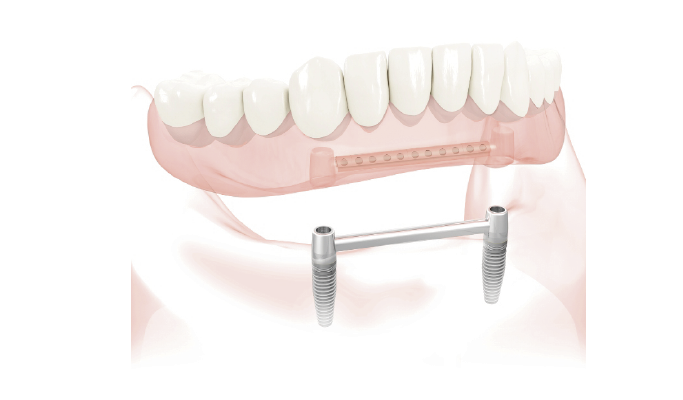 Our treatment in dental implants cover all the needs you have. We have the best equipment placed at your disposal and the best team of professionals in this field of dentistry. If you want to know more about dental implantology, then you have all the information you need, from the Medident Dental Clinic Torremolinos. Implants are the perfect solution when one or several dental pieces have been lost for whatever reason. A perfect and lasting solution. They are usually manufactured using materials that are totally biocompatible such as titanium, so your body will not reject it at all. More and more people are coming to a Dental Clinic to undergo this treatment class. Not in vain, they have a long duration in time and our physical appearance and dental aesthetics improves enormously. There are different types of dental prostheses, depending on the needs of each person. Let’s see what they are and what they are for. This kind of implantology is what is used when a single dental implant is placed because the patient has lost a tooth. At the Medident Clinic, we performed a simulation of what is the root of the dental piece made of titanium, which, as mentioned above, is biocompatible. Then and on it we place the dental crown, made with ceramic and metal, thus achieving that the patient gets a perfect tooth and look similar to a natural tooth. Remember that it is a totally painless treatment and you will achieve with it the perfect restoration of the functions of the denture itself. This treatment is designed for those who have lost several teeth. First, we anchore fixedly on the bone titanium implants that are necessary (2 or more pieces lost) doing the function of tooth root. Once this is done, we place the fixed prosthesis on these structures, made of ceramic and also of metal, achieving the perfect functionality of this denture. This type of dental prosthesis is anchored directly on the implants, usually on 2 or 4 of them. This improves retention, support as well as the stability of the denture. For its placement, materials such as metal-resin and acrylic teeth are also used. This type of prosthesis is easily removable by the patient to perform the cleaning of it. This kind of treatment is especially indicated for those people who have lost all their teeth, either in the jaw or maxilla or in both cases. These prostheses are screwed onto the implants in a fixed manner. They are placed, as their own name indicates, on the implants, thus obtaining the patient a perfect, safe and above all firm bite. The number of implants that are necessary will always depend on the individual needs of each person. 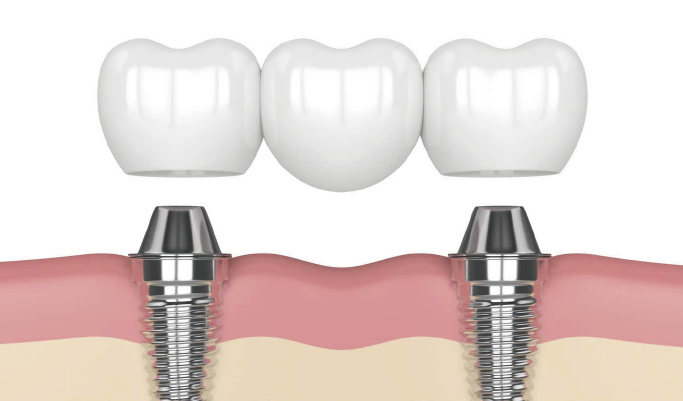 This type of implantology is actually based on smaller screws than those used in normal implants, since they measure about 2 millimeters in diameter. Its use is indicated especially as temporary implants. 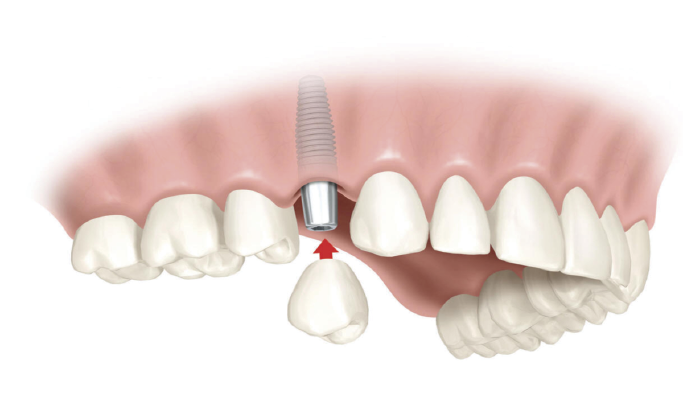 Implants need a much lower maintenance than the use of other types of dental prostheses. As with our natural teeth that accumulate leftovers or the appearance of tartar if you do not brush on a daily basis, in the case of implants the same thing happens. That is why if you do not follow proper dental hygiene, it is easier for tartar or the feared plaque to appear on our dental implants.Here we detail the best way to care for your implants, so take a good note of it.Use traditional brushes or electric brushes Use them daily, at least a couple of times a day, to brush your teeth, covering all the areas of your jaw as well as in the areas where you have implants placed. Use this type of brushes to get access to interdental areas that are impossible to reach with electric or traditional brushes. Thanks to it you can improve your dental health even more. Thanks to its water jet, you can suppress any type of food or bacterial plaque or tartar in the best possible way. How long does a dental implant lasts? Previously we have already commented that its duration in time is quite long. They can have a useful life of up to 20 or 25 years. That is why it is the optimal solution to replace those lost teeth. In order to keep them for that long, follow the cleaning tips that we have named above. Monday to Friday De 9:30 – 14:00 y de 16:00 – 20:00 hs.